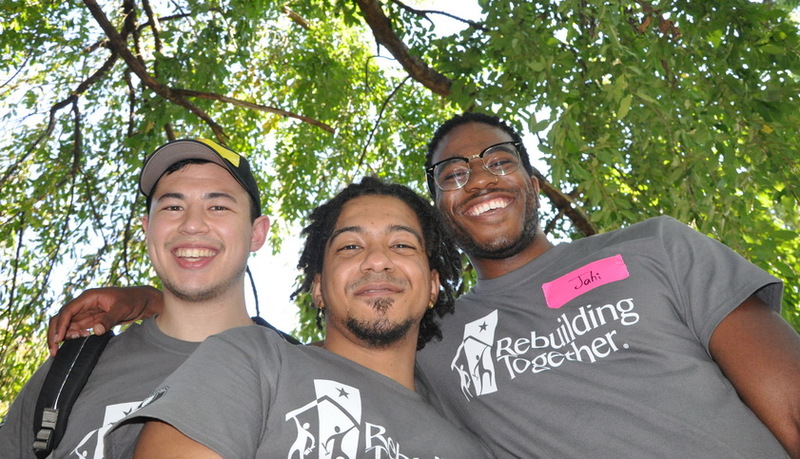 Bringing volunteers and communities together to improve the lives and homes of low-income homeowners. RT-AFF was pleased to partner with our National Office to plan, manage and execute the 2018 AmeriCorps Member training and project days this August. 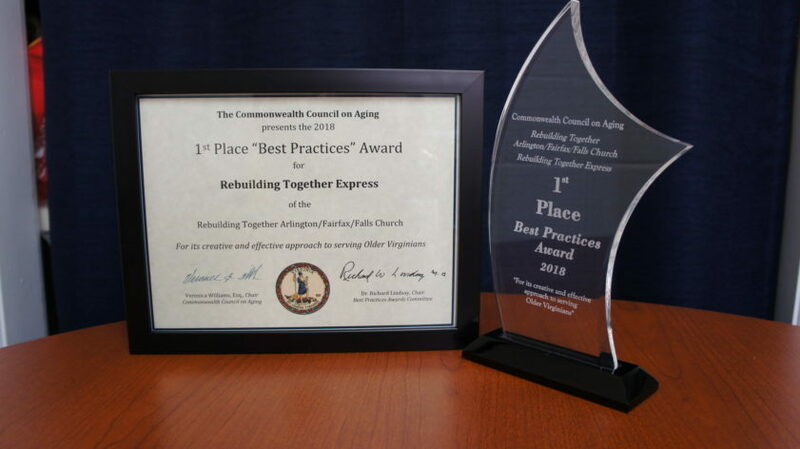 The award was presented to recognize our new delivery system called Rebuilding Together Express. Everyone deserves a safe and healthy home. Learn more about our services for families, seniors, veterans and people living with disabilities. You can help make a home safe and healthy. Whether you give a donation or donate your time, you can make a difference for your neighbors. Thank you to our generous sponsors and partners! Your support enables us to stretch our resources further and help more low-income homeowners live independently in safe and healthy homes. Rebuilding Together Arlington/Fairfax/Falls Church (Rebuilding Together-AFF) is a 501 (c)(3) nonprofit organization that serves low-income homeowners and nonprofits. 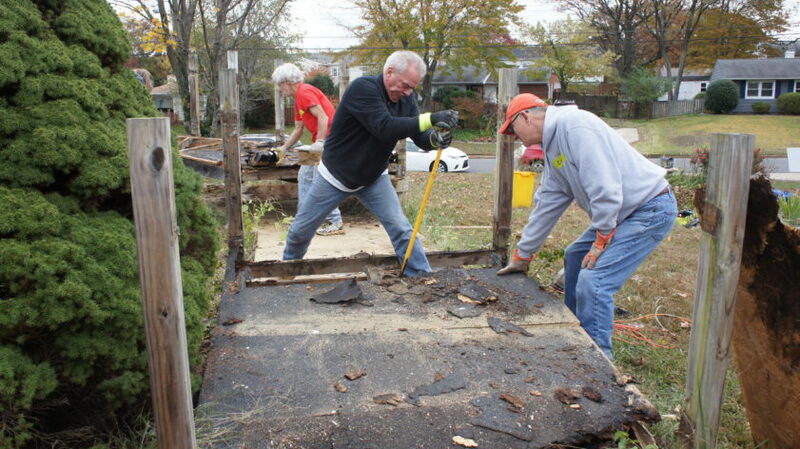 Our volunteers repair and upgrade homes at no charge to the owner. We focus on health, safety and accessibility for every home. © 2018 Rebuilding Together Arlington/Fairfax/Falls Church, Inc.